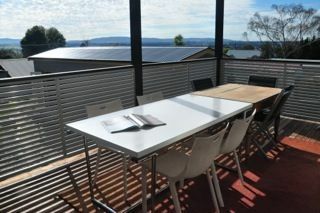 Looking for Bathurst 1000 accommodation in October? At Plantation house we have a range of serviced apartments and furnished houses to suit your needs. Quality accommodation for the October race is hard to find and often sells out quickly, don't delay please contact us immediately to enquire regarding availability for the Bathurst 1000 Car Racing at Mount Panorama. However you find us, perhaps through our own website, Plantationhousebathurst.com.au, or Stayz, or AirBnB, we offer the best fully furnished serviced accommodation, short term serviced apartments and furnished houses for Bathurst 1000 Car Racing enthusiasts. We cater exclusively for small or large groups, just 8 minutes drive to Mt. Panorama Car Racing circuit. Our Bathurst 1000 Accommodation includes 7 fully furnished houses in Bathurst and 4 separate private apartments that have the best crisp clean 5 star hotel linen, bedding and towels. Modern Contemporary redesigned 2 bathrooms in each home, modern fully equipped kitchens, internal laundries will allow your small groups or larger groups a memorable Bathurst 1000 Car Race experience. We have been Bathurst accommodation providers of the best Bathurst serviced fully furnished houses in Bathurst since 2006. All of our Plantation House properties and apartment properties are in the best and safest part of Bathurst. They provide heating cooling air/con, free wifi most offering off street car access. Over the years we have had many guests staying in our Accommodation Bathurst furnished and serviced houses. They have included "Dyed in the Wool" Bathurst 1000 committed enthusiastic fans, namely individuals, social and corporate groups, families, personnel for setting up the Mt Panorama infrastructure such as Pitt crews, building teams, Security, media and major sponsors. The Town of Bathurst has a rich Australian history as well as a visibly world acknowledged DNA in a motor racing. Every October brings together a commonly connected cross section of Bathurst 1000 Car Racing competitors, motor racing family from all over Australia, New Zealand and the world. For Bathurst 1000 accomodation, we currently have 3, 4 and 5 bedroom furnished and serviced homes and apartments available for the Bathurst 1000 Car Race in October.